AMC is proud to bring audiences more than Hollywood’s biggest blockbusters. We seek out films with important messages, told from diverse perspectives across the world. Three such films open in our theatres this month: bio-dramas MARSHALL and BREATHE and Indian drama SECRET SUPERSTAR. Read more about these moving indie titles here and get your tickets. Before he became the first African-American Supreme Court Justice — before Brown v. Board of Education and the towering 1954 civil rights landmark — Thurgood Marshall was a man on a mission: to represent the innocent, those accused of crimes based solely on their race. In the bio-drama MARSHALL, the young lawyer (Chadwick Boseman) arrives in conservative Connecticut to defend a black chauffeur (Sterling K. Brown) charged with sexual assault and attempted murder of his white socialite employer (Kate Hudson). 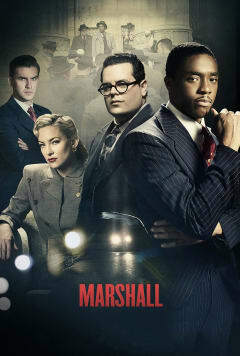 Muzzled by a segregationist court, Marshall partners with a courageous young Jewish lawyer, Samuel Friedman (Josh Gad). Together, they mount the defense in an environment of racism and anti-semitism. MARSHALL opens in AMC theatres October 13. 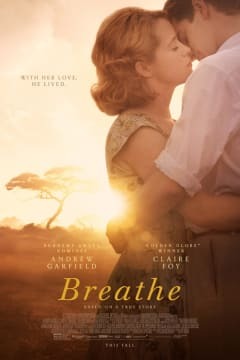 BREATHE brings to life the inspiring true love story between Robin and Diana Cavendish (Andrew Garfield, Claire Foy), an adventurous couple who refuse to give up in the face of a devastating disease. When Robin is struck down by polio at the age of 28, he is confined to a hospital bed and given only a few months to live. With the help of Diana's twin brothers (Tom Hollander plays both) and the groundbreaking ideas of inventor Teddy Hall (Hugh Bonneville), Robin and Diana dare to escape the hospital ward to seek out a full and passionate life together: raising their young son, traveling and devoting their lives to helping other polio patients. Andy Serkis — the actor best known for his roles in the PLANET OF THE APES and THE LORD OF THE RINGS franchises — makes his directorial debut in this heartwarming celebration of love and human possibility. You won’t want to miss BREATHE in AMC theatres October 13. 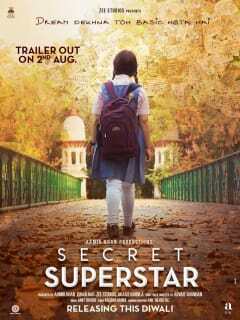 Releasing this Diwali, SECRET SUPERSTAR is a dazzling film to celebrate the holiday. The Indian drama bursts with hope, courage and, of course, music. A Muslim teenager dreams of becoming a singer, but her conservative father refuses to support her career. So, she does what most kids do: She goes online to find fame. Bollywood icon Aamir Khan stars as Shatki Kumaarr, a sleazy music producer, alongside his DANGAL co-star, Zaira Wasim, who plays the aspiring singer. DANGAL (2016) was Wasim’s film debut and the highest-grossing Indian cinema film in the world; however, in an interview with Reuters, Khan said SECRET SUPERSTAR is a “much bigger film” than DANGAL, in terms of its message of young female empowerment. In addition to starring, Khan, with his wife, produced the film. His manager, Advait Chandan, wrote the script and is making his directorial debut. Get your tickets for SECRET SUPERSTAR, MARSHALL and BREATHE on our website today, and follow our blog for more featured films at AMC.